This move will save the agency over $68,000 in rent over the first year. We also gain free parking which will save LAS $9,000 per year. We will increase our office space by 1390 square feet with a total floor plan of 8400 square feet. With an open and collaborative environment, we are adding seven workspaces now and have space for ten more when needed, taking our office from 28 workstations to 45. LAS will also gain an additional conference room, large enough to hold group meetings and classroom style training for up to 35 people. The new suite is completely remodeled; we have taken the area down to concrete, performed a dust free cleaning from top to bottom and built our new home. With creative reuse of items and a modern take on open office space, we have kept this project environmentally friendly. We are installing energy efficient LED lighting, and are using low VOC paint to promote a healthy environment for our clients and staff. Look out for an Open House invitation coming soon! Be a Champion of Seniors’ Rights! This season of giving and sharing is a wonderful time to spend time with family and friends reflecting on all of the people that make our lives so special. This is also a great time to be active in the community, helping those people who need support and a helping hand. While you celebrate the Holidays and the New Year, help LAS start 2017 off on the right foot by making a donation today! With your donation, LAS reaches seniors every day who need assistance in maintaining their independence and dignity. Every donation, no matter the size, is a helping senior who may be struggling and alone. Help LAS be a light in the community reaching seniors in need of a hand. 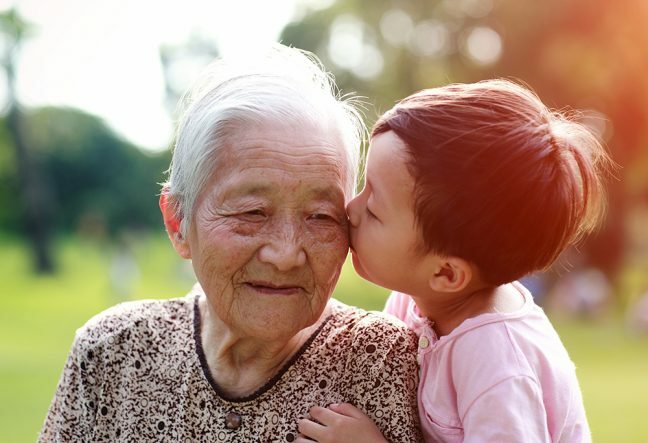 LAS Executive Director was recently quoted in an article discussing age-friendly communities. The link to the article is below. 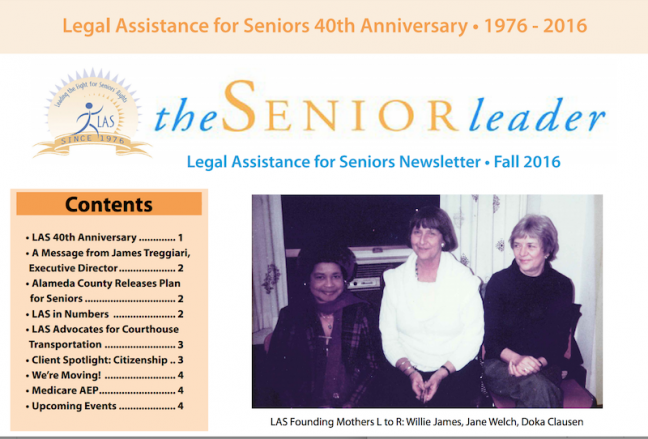 Legal Assistance for Seniors is thrilled to announce the relaunch of our agency newsletter, The Senior Leader! We hope this newsletter keeps you informed about the latest LAS and HICAP news as well as key issues that are pressing in the senior community. LAS will be publishing this newsletter two times a year, to supplement the Annual Report. LAS would like to recognize the Walter S. Johnson Foundation who gave LAS a generous grant to make the newsletter possible! On October 20, 2016, LAS celebrated its 40th anniversary on the USS Potomac in Oakland. A big thank you to all of our sponsors and donors who made this event possible, and to everyone who attended – we hope you enjoyed the event! We do have two unclaimed raffle prizes, if you have a winning ticket please contact us by November 7 to arrange pick-up of your prize! 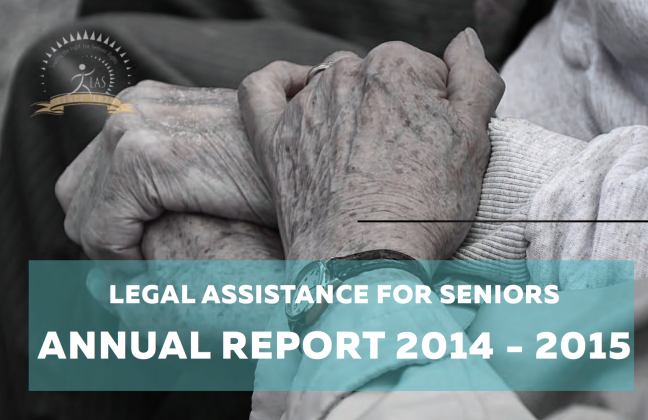 We invite you to take an in-depth look at Legal Assistance for Seniors through our 2014-2015 Annual Report.